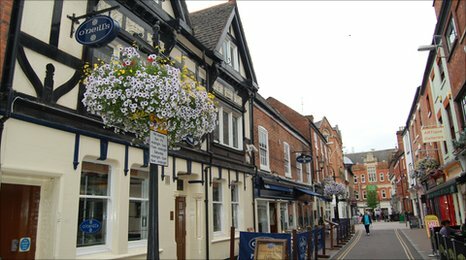 The Lord Mayor of Leicester has called for the return of a pub tradition dating back to the 1600s. The landlord of the former Crown and Thistle public house on Lowesby Lane customarily paid the rent with a red damask rose and four old pennies. However since the national chain O'Neill's took over the bar the annual ritual has ceased to take place. Councillor Colin Hall said he was hopeful the peppercorn rent ceremony could be reintroduced by 2011. "I know a lot of the Lord Mayors I've worked with have looked forward to this event. "It's one of the highlights of their calendar and I was disappointed to hear that the tradition of them presenting the damask rose had been discontinued." 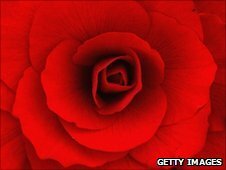 It is believed the ceremonial exchanging of the rose and coins last took place in 2001. Miguel D'Almeida, owner of neighbouring Almeida Coffee and Juice Bar, believes the tradition would be welcomed back in The Lanes shopping area. "So much history has disappeared over the years, everything's become homogenised and just melded into one, and nobody knows anything about these traditions, including me," he said. Cllr. Hall agreed; "It is one of the most historic parts of the city and I think anything that can be done to encourage greater interest in the city's heritage should be pursued." In a statement to BBC Leicester, O'Neill's showed an interest in the tradition. "We'd be delighted to learn more about this tradition and to speak to the Lord Mayor about the ways in which we can help, particularly if the local community is supportive of its reintroduction."